When using Google and Bing, a location is always associated with each search. Every search made is tailored to the origin country. For this reason, a domain/keywords cannot be targeted globally in AccuRanker (nor any search engine). 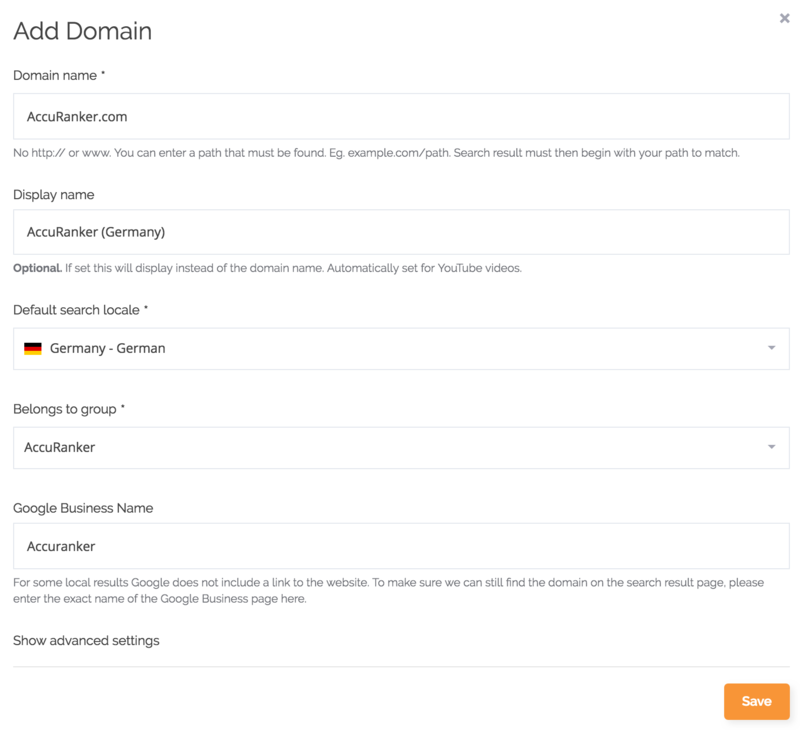 To keep your data organised, we recommend creating your domain in AccuRanker for each country you want to track for. Be sure to highlight the country in the "Display name" to differentiate the countries.